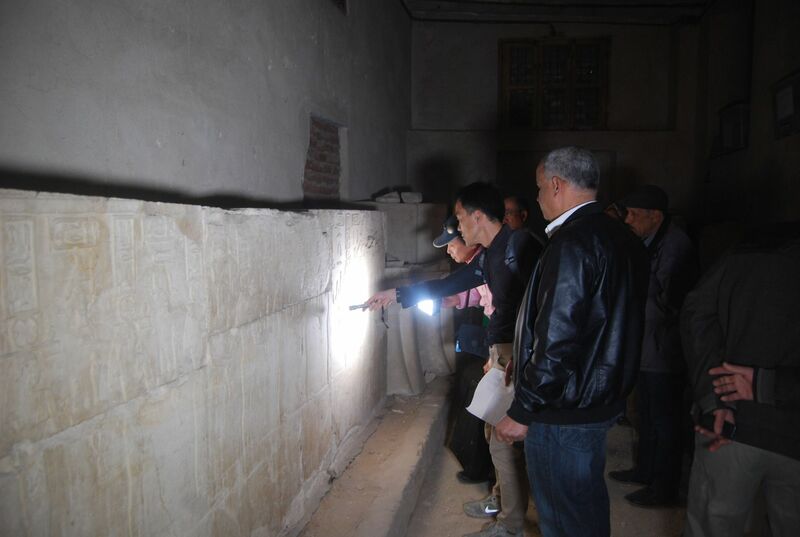 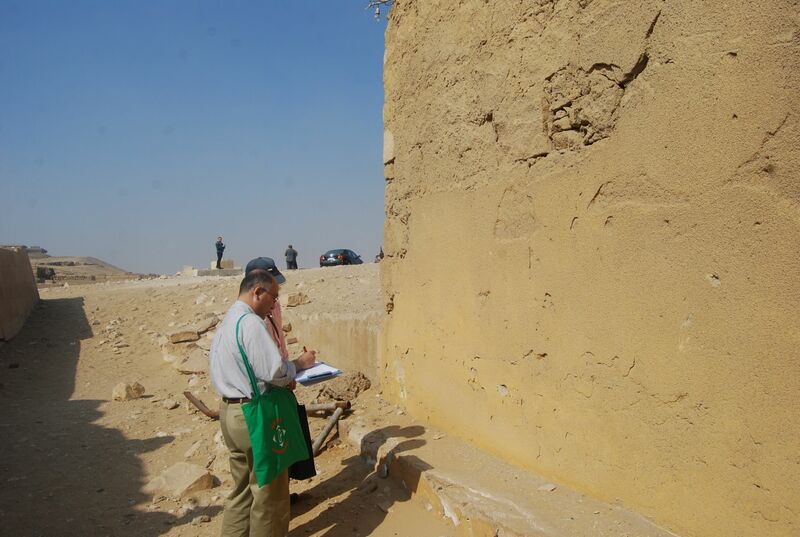 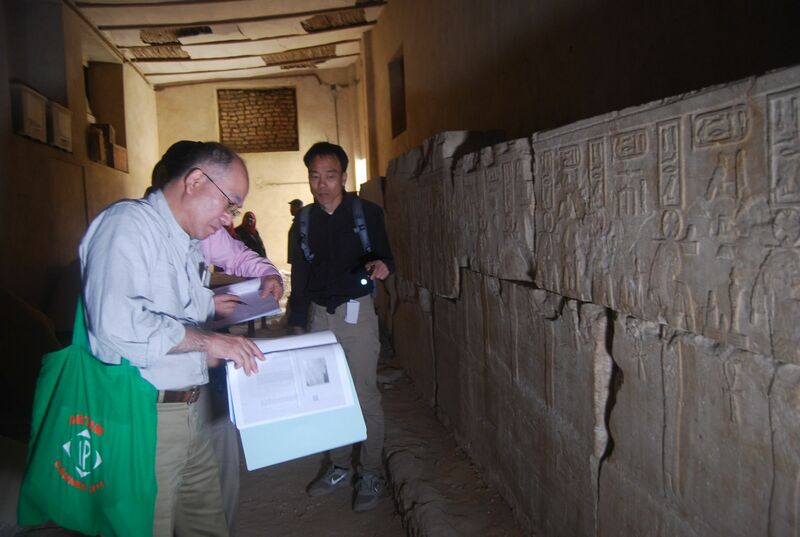 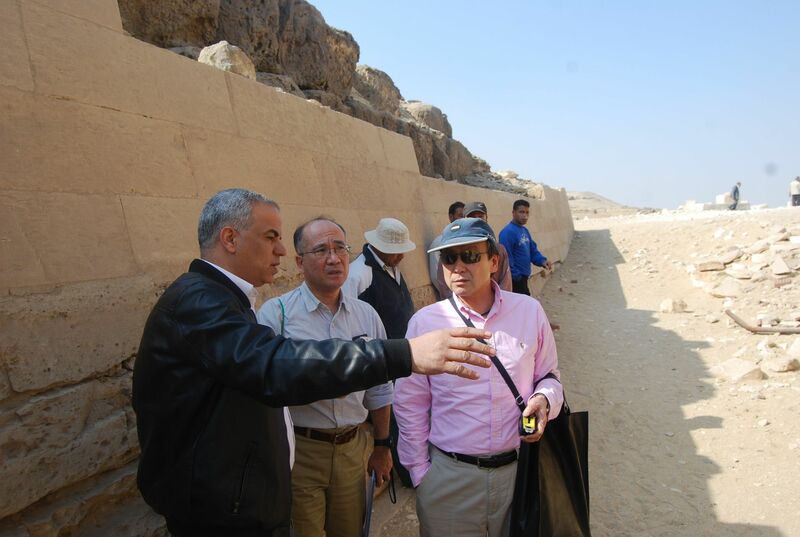 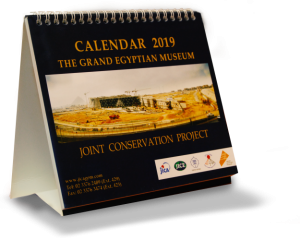 One of the main objectives of our project is formulating the transportation plan of the limestone relief of King Senefru’s Valley Temple from the Bent Pyramid in Dahshur, which is currently being stored at the Giza storage and is set to be displayed in GEM. 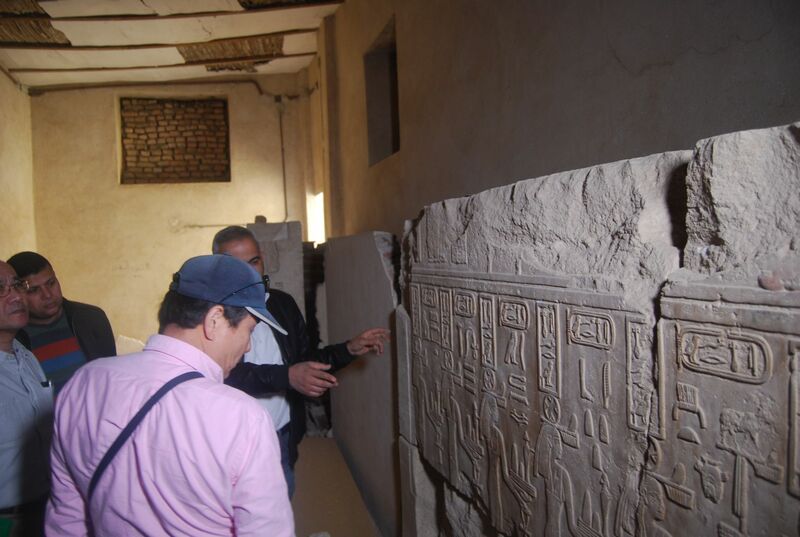 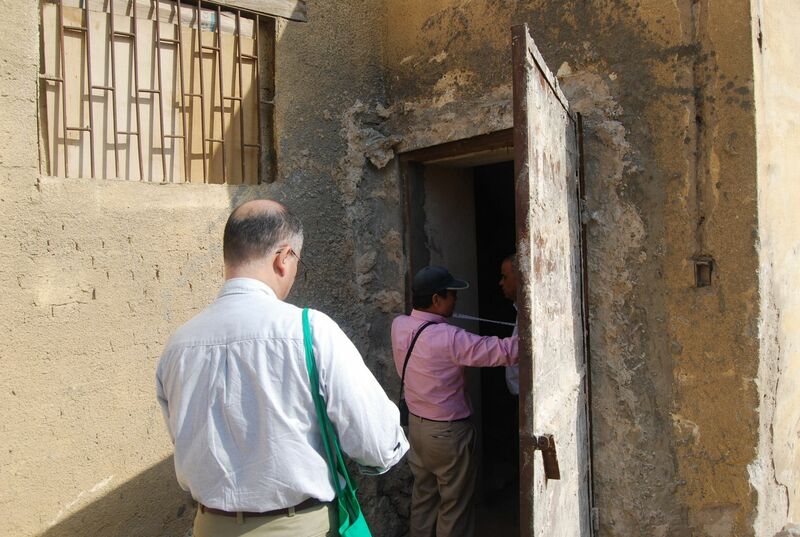 On 9th of February, 2017, the team went to inspect the current condition of the relief with Mr. Eisa Zidan, the First-Aid, Packing and Transportation Manager, and MR. Abdelghany accompanied with Mr. Masada and Mr. Tokuda from the Transportation team. 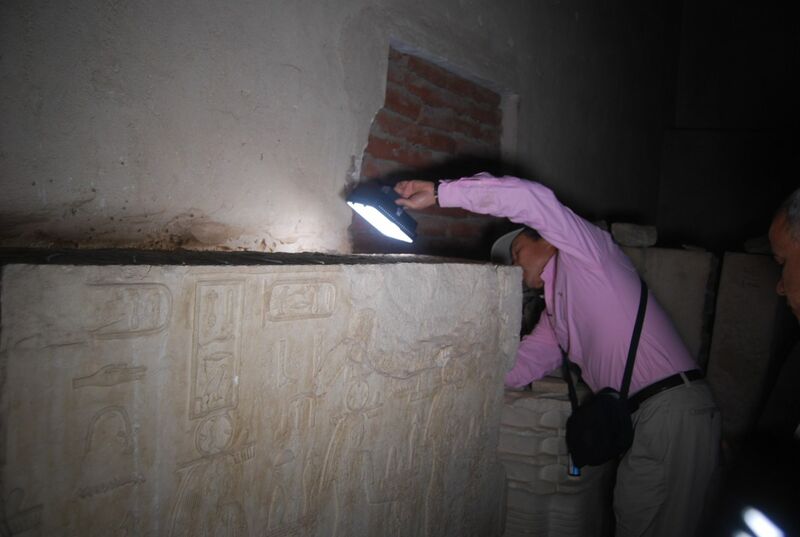 After exchanging all information about the artifacts they would finally devise a plan which includes all the required tools, as well as a step-by-step procedures based on precise calculations to ensure a safe and smooth transportation. 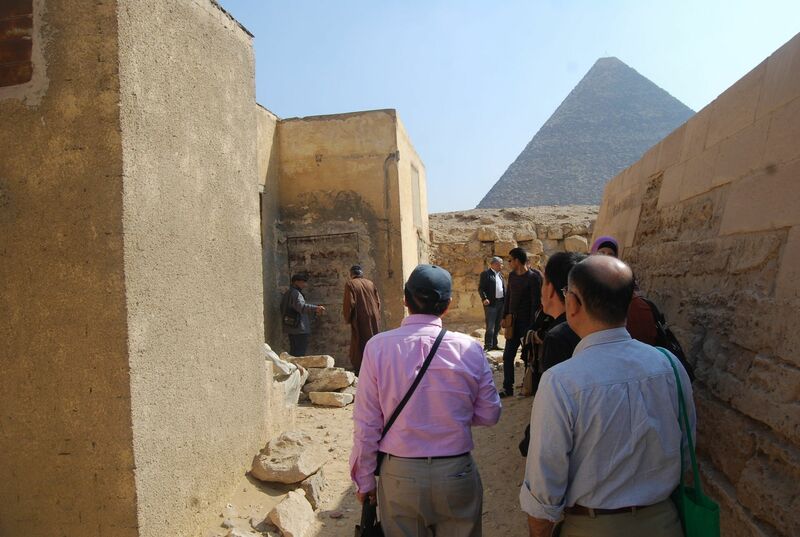 The plan will be put into practice by GEM-CC staff at the scheduled transportation time.